The holiday season approaches; a festive time for celebration and cheer. I encourage you to please shop local and support your local businesses as you look for that perfect gift for family and friends this holiday season. Keeping dollars in our community helps strengthen our local economy. This season is also a perfect time to reflect on the accomplishments of this past year and continue to grow into the upcoming year. NCI achieved so much in 2013 and has opened communication with many individuals to continue working on building a stronger community in 2014. NCI is a once again the proud sponsor of Valley Industries Mayors’ Shamrock Ball, taking place on March 8, 2014 and The City Ferguson’s Twilight Run/Walk, to take place on May 17, 2014. Please click on the links to learn more about sponsorships, tickets and registration. I encourage you to consider getting involved with these two events in the North County community. NCI’s Annual Breakfast’s date is set for May 16th at 7:30 am. Also be watching for the date of the North County Legislative Reception which will be announced in the January eNewsletter. WELCOME NEW NCI MEMBERS for 2014! 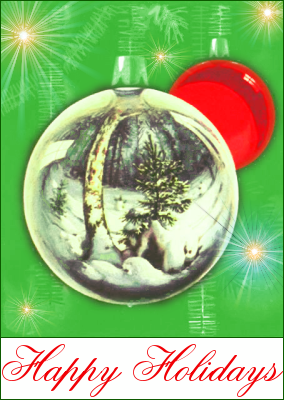 I wish you the best holiday season for you and yours. NCI’s Board of Directors has endorsed Pattonville School District’s Tax Levy Proposition P. Please be sure to get out and vote on November 5th and support your local school district. Pattonville is seeking the increase in order to maintain and protect the quality of programs and staffing in the Pattonville School District by overcoming a potential operating budget deficit of $10 million. Over the past year NCI has served on the Community Advisory Group for St. Louis County’s Northwest Parkway Corridor Study. This past week there was an extremely well attended public meeting on this Corridor Study. Be sure you are informed about the Northwest Parkway Study, a transportation project that is looking at creating an improved, more reliable connection between the residential areas of North St. Louis County and employment centers in the Earth City and Riverport areas. The existing link, consisting largely of two-lane roads in the Missouri River floodplain, is subject to unpredictable flood-related road closures. The closures cause unreliable travel conditions and traffic disruptions. St. Louis County has released their most recent “high-level, data driven” strategic plan Imagining Tomorrow. NCI’s board was given a presentation on the plan late in September by St. Louis County Planning Department’s Glen Powers and Lori Fiegel. At the board meeting St. Louis County representatives made the commitment to communicate and work closely with NCI as they begin implementation and work in the North County area. NCI’s leadership group is excited to move forward on strategies for North County to improve and increase our community’s quality of life. Recently, NCI Board Chair Ron McMullen, Vice-Chair Chief Mike Gantner, Secretary Dan Boyle, Executive Board members Dr. Mark Tranel, Carolyn Marty and I visited with St. Louis County Executive, Charlie Dooley, to discuss the plan and request his commitment that focus and funding be given to advancing North County and to increasing communication between St. Louis County and North County leaders. Please take a moment to look at the plan and provide your comments to St. Louis County. After NCI linked St. Louis Economic Development Partnership staff with Christian Hospital’s president, Ron McMullen, late last year, we are happy to announce that plans are now underway by St. Louis County and the Partnership to establish a Spanish Lake Community Development Corporation to work on housing initiatives around the Spanish Lake Community. Some funding for this has been identified by the County and Christian Hospital. Be watching for more on this great news soon. NCI has begun conversations to collaborate with other community stakeholders, including the Greater North County Chamber to explore the possibility of developing a long-term, sustainable marketing campaign to work on advancing the awareness around the positive benefits of our community. We are planning to hold a North County Marketing Strategy-Leadership Engagement planning meeting in December. Please watch for more information about this endeavor over the next month, as we will want our membership’s opinions on this matter. 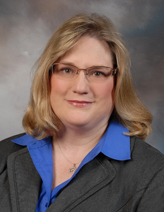 Additionally, NCI recently partnered with Executive Board Member, Dr. Marcia Pfeiffer, president, St. Louis Community College-Florissant Valley, to host the “Growing the Workforce in North County” meeting. This collaborative effort was to bring the business community and higher education leaders at the Community College together to discuss ideas and strategies around developing our future workforce and the programs already in place at the Florissant Valley campus to help ensure that our future workforce is relevant. SAVE THE DATE: NCI’s Education work group, chaired by Patty Gould, School Business Director for Pattonville School District and Dr. Art McCoy, Superintendent of the Ferguson-Florissant School District is busy working with our local public school superintendents and private school principals to provide a State of Primary Education in North County forum at lunchtime on January 31st at St. Louis Community College at Florissant Valley. NCI is pleased to be able to collaborate with North County’s local Chambers of Commerce on this initiative. The goal of this initiative to provide information on the issues surrounding schools today as well as to inform our community more about the impressive programs they have in place that are designed specifically to get students prepared to enter our workforce. Reservations will be required for this member only event. Be watching for more information on this in December’s eNewsletter. Another date you will want to mark in your calendar is NCI’s Annual Breakfast meeting. Get this on your calendar fast. It will be held on Friday, May 16 in 2014. Hope you all will be sure to plan on attending. Congratulations to Dr. Rance Thomas, NCI Board member, cofounder and President of the North County Churches Uniting for Racial Harmony and Justice (NCCU), on being honored with the Christian Hospital Foundation’s Paul F. Detrick Legacy Leadership Award. The memorial Paul F. Detrick award is presented annually to a person with the vision to help the north St. Louis County area be all it can be. 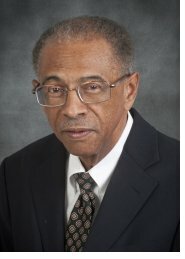 Dr. Thomas definitely deserves this honor. Congratulations to Executive Board member, Mayor Matt Robinson,City of Hazelwood, on being elected recently to the Missouri Municipal League’s Board of Directors. Congratulations to Board member, Mayor James Knowles III, City of Ferguson, on earning the prestigious designation of Certified Municipal Official from the Missouri Municipal League’s Municipal Governance Institute. Congratulations to Board member, Mayor Thomas Schneider, City of Florissant, on receiving the designation of Certified Municipal Official by the Missouri Municipal League. 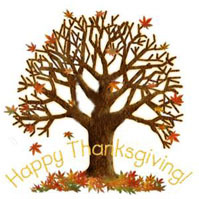 Hope you all have a very Happy Thanksgiving! Congratulations to NCI’s 2013 30 Leaders in their Thirties Award Winners! Rainie Howard, Sisters of Hope, Inc.
NCI Board Member Karen McKay, Designer-Esthetician, on being named the ACT! 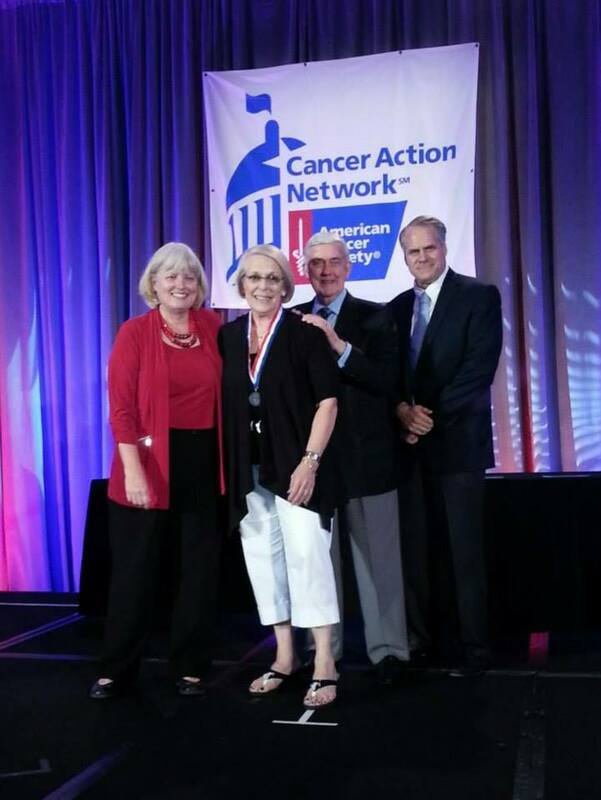 Lead of the Year by the American Cancer Society for her public policy advocacy leadership this past month in Washington D.C. Click here for more information. NCI Executive Board Member Dr. Art McCoy, Superintendent of Ferguson-Florissant School District, on being appointed to Harris-Stowe Board of Regents by Missouri Governor Jay Nixon. Click here for more information. 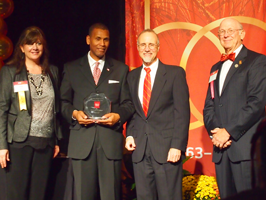 NCI Board Member Dr. Grayling Tobias, Superintendent of Hazelwood School Distric,t on being honored as a 2013 University of Missouri-St. Louis Distinguished Alumni at the UMSL Founders Dinner. Click here for more information. 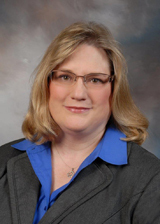 NCI’s Board of Directors is endorsing Pattonville School District’s Prop. P. For further details regarding this necessary tax levy please click here. CLICK HERE TO SEE THE REST OF OUR OCTOBER eNEWS! 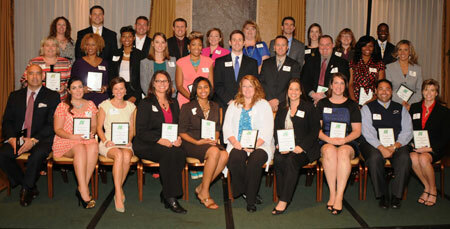 This month we will celebrate 2013’s Class of North County’s 30 Leaders in their Thirties. You are invited to celebrate this honor with these worthy professionals at the NCI Salutes 30 Leaders in their Thirties Reception on Friday, September 27th at 11:30 a.m. at Norwood Hills Country Club (business attire required). Reservations are required. Call (314) 895-6241 today to be sure to reserve your seat. We have an amazingly talented group of young professionals and community volunteers to honor and would love to see you there. We are still seeking sponsors for our NCI Salutes 30 Leaders in their Thirties campaign. We have put together very generous and affordable sponsorship packages, along with opportunities to advertise in the event program book. Community News also has special ad packages available if you want to say a special congratulation to a particular award recipient or all 30 of them. Sponsorship forms can be found on our website atwww.NorthStLouisCounty.com. I want to advise you that NCI has taken action to support North County’s residents, municipalities, schools, business and others. Resulting from the recent article on North County housing published in the Post-Dispatch on August 18th, I have heard from many NCI members, area residents, elected officials and concerned business owners. We have sent a response to the Editor pointing out how the article could have covered the story by incorporating more balance in their report. Please take time to review NCI’s response.CLICK HERE for copy of letter. We have also requested a meeting with the Editor and will keep our membership posted on the results. North County has a tremendous number of assets and offers a great quality of life. Take a look at the recent North County Economic Development Profile produced for us by the Public Policy Research Center to learn more about our great community. CLICK HERE TO SEE THE REST OF OUR SEPTEMBER eNEWS! If you are looking for something fun to do around town, be sure to check out NCI’s attractions website ExploreNorthStLouisCounty.com, featuring parks and recreation, historic sites, hiking and biking and water park opportunities and many more activities around North County for the entire family. We are seeking sponsors for our NCI Salutes 30 Leaders in their Thirties campaign. We have put together very generous and affordable sponsorship packages, along with opportunities to advertise in the event program book. Community News also has special ad packages available if you want to say a special congratulation to a particular award recipient or all 30 of them. Sponsorship forms can be found on our website atwww.NorthStLouisCounty.com. We invite you to come and celebrate the 30 Leaders chosen on Friday, September 27th at Norwood Hills Country Club. Reservations and country club attire required. For more information, please call the office at (314) 895-6241. Hope to see you there! Replace caption with: NCI’s Rebecca Zoll, Venus Martz and Nancy Schiller prepare for a great evening with Hendel’s owner’s Chef Nathan and Christina Bennett and staff. NCI’s Anniversary Dinner and Wine Pairing held on July 21st was a success! Thanks to our members that who attended and supported NCI at this celebration. Also, my kudos to Christina and Nathan Bennett from Hendel’s Market, Cafe & Piano Bar for an excellent job in hosting our event. We hope our guests enjoyed the five-course meal and wine pairing. NCI’s Board of Directors has endorsed the Ferguson-Florissant School District’s Proposition A that will be on the upcoming August 6th ballot. The City of Florissant and Greater North County Chamber of Commerce have also endorsed Proposition A. For more information please click here. CLICK HERE TO SEE THE REST OF OUR AUGUST 2013 eNEWS! Hello. 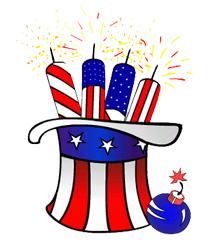 Have a very pleasant and safe Independence Day! If you are looking for something fun to do this weekend be sure to look at NCI’s attractions website ExploreNorthStLouisCounty.com, featuring parks and recreation, historic sites, fireworks, festivals and much more for the entire North County area. We are seeking nominations and sponsors for our NCI Salutes 30 Leaders in their Thirties campaign. Be sure to nominate an up-and-coming North County leader in their thirties who is making a significant positive impact on our community through their profession and/or community involvement. The 30 Leaders chosen will be recognized at a reception on Friday, September 27th at Norwood Hills Country Club. The deadline for nominations is July 11, 2013. Nomination and sponsorship forms can be found on our website at www.NorthStLouisCounty.com. Be sure to nominate someone today! I would like to invite you to our secondAnniversary Dinner Fundraiser. Please join the organization’s board members for an elegant 5-course dinner with wine pairing and silent auction at Hendel’s Market Café and Piano Bar on Sunday, July 21st. The celebration begins at 5:30 p.m. with the first course served promptly at 6 p.m. It is $85 per person and reservations are required. Space is limited to the first 80 paid guests. Only 20 tickets left! Be sure to call and make reservations soon. For more information, visit NorthStLouisCounty.com. 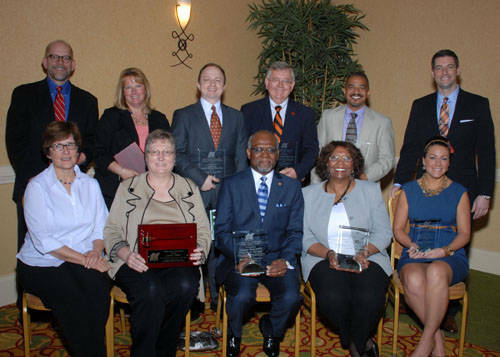 A special congratulations to two of NCI’s Board Members, Dr. Grayling Tobias, Superintendent for Hazelwood School District and Dr. Art McCoy, Superintendent for Ferguson-Florissant School District for being named “Inspiring St. Louisans” by the NAACP this year. Way to go, guys! CLICK HERE FOR THE REST OF OUR JULY 2013 eNEWS! It was terrific seeing so many of you at NCI’s 36th Annual Breakfast; with nearly 600 in attendance, it was a wonderful crowd to honor our leadership, business development, community development, and public service award recipients. Congratulations to those honored this year, your work and dedication is amazing and North County benefits from all you do to help make our community great. This year, you can watch the event online at www.NorthStLouisCounty.com. Big thanks to Randy Gardner from the Gateway Television News Network and The City of Black Jack for all his hard work on this television special. Connect here for a photo album of the Annual Breakfast. Special thanks to St. Louis Community College’s Wesley Bell (a past 30 Leader in their Thirties honoree), Ed Hassinger (MoDOT), Dr. Art McCoy (Ferguson-Florissant School District), Dr. Mark Tranel (PPRC), and Betty Van Uum (University of Missouri St. Louis) for participating in this year’s annual report to our members. These regional partners helped me share information about the work NCI has been doing this past year on behalf of the communities we serve. For a complete list of NCI’s Annual Accomplishments please CLICK HERE. We want to say a special thanks to our sponsors for their support. NCI’s Board Chairman, Ron McMullen, 2012 Chair Sandy Weber (retired U.S. Bank Vice President and District Manager) and I, accepted a $15,000 check from NCI Board member, U.S. Bank’s Scott Schneider from the U.S. Bank Foundation this past month at the organization’s 36th Annual Breakfast. 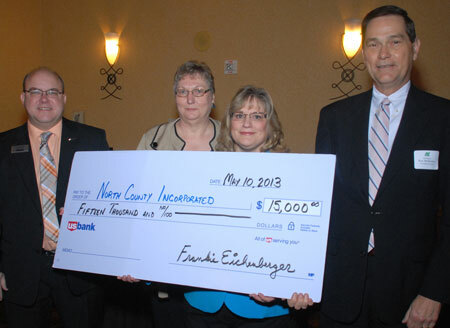 U.S. Bank has been a long-time partner and supporter of the work that NCI does on behalf of the businesses and communities that we serve throughout North County. We thank them for their continued support of our economic development initiatives. We, along with media partners the Community News and Gateway Television News Network, are seeking nominations for 2013’s NCI Salutes 30 Leaders in their Thirties campaign. The 2013 NCI Salutes 30 Leaders in their Thirties campaign will recognize leaders who are making a significant positive impact on North County through their profession and/or community involvement and are in their thirties. To nominate someone who works and/or lives in North County and is an outstanding professional, excels at his/her company, is a committed volunteer who uses their leadership skills for the betterment of a civic or charity organization, is a municipal employee who, through proactive involvement, is helping create a more livable community, or an entrepreneur who has become successful and is giving back to North County, call the office for a nomination form or go online to www.NorthStLouisCounty.com. All nominations are required by July 12. The 30 leaders chosen will be honored at the NCI Salutes 30 Leaders in their Thirties reception and luncheon. The public is invited to attend this event on Friday, September 27th at Norwood Hills Country Club at 11:30 a.m. Reservations are required; the cost is $40.00 per person. If a company is interested in sponsoring this event and supporting North County’s young leaders, sponsorship packages are available. To make a nomination, reservations, or sponsor this event contact the NCI office at (314) 895-6241 or go to www.NorthStLouisCounty.com for more information. Congrats to NCI board members Mayor Mathew Robinson with the City of Hazelwood on being elected to St. Louis County Municipal League’s Board of Directors. CLICK HERE FOR THE REST OF OUR JUNE 2013 eNEWS!